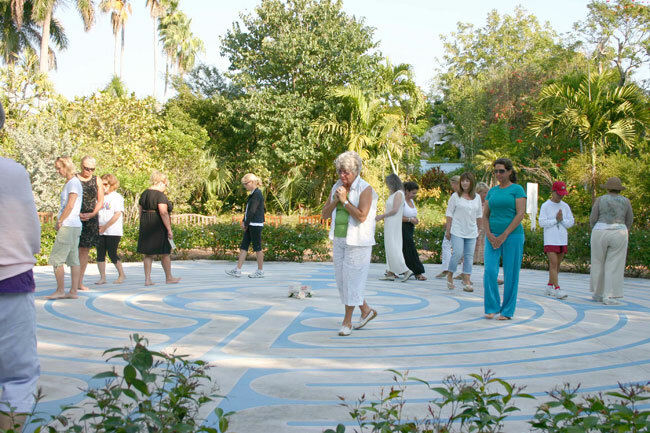 Freeport, The Bahamas - A number of persons turned out this past Sunday morning, March 20, at the Garden of the Groves for the Labyrinth walk in prayerful meditation. 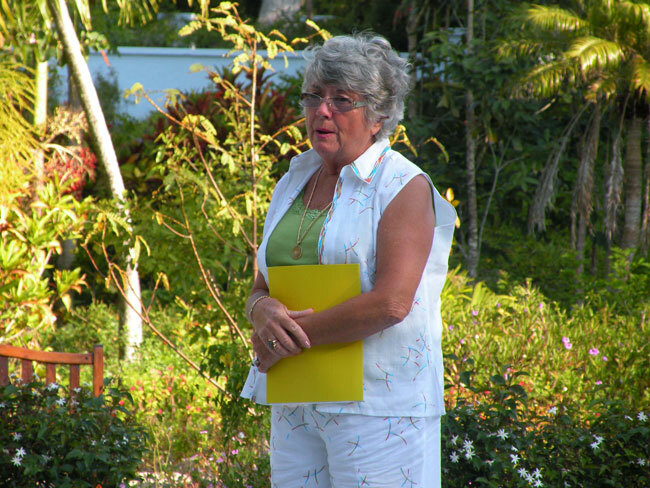 According to Ms. Barbara Chester as she addressed the participants just before they walked, the meditation was on love to share with others, honouring those who survived the devastation in Japan and other lands in the Pacific. She told the group of mainly women, to remember that we are all members of the same family of creation, sharing one religion of love which she said was appropriate on the labyrinth, a sacred path for everyone. “We are all One Creation; part of the great Spirit of Being. Today especially we are sending our united blessings to Japan from the great collective heart of our creation. She began the walk by “warming the labyrinth” which meant walking clock wise to begin the flow of energy in the labyrinth during which time, Marjoke Muller and James “JJ” Roker sang “The Prayer”, then the other ladies joined in the walk. Some of the ladies were visibly moved as they took part in the meditation. Most of the group remained after the walk for quiet contemplation/meditation in the garden, sitting on the benches around the Path. Mrs. Chester then got to speak to each of them and gave them a little souvenir bookmark, which she had made and laminated the previous night. She also gave bookmarks to a little Japanese family who arrived too late to join the morning walk but not too late to walk in the loving energy that remained. It was on Friday March 11, 2011 that Japan suffered an 8.9 earthquake followed by a devastating tsunami. Several thousand people were reported dead, tens of thousands missing and the threat continued with at least one nuclear power plant in danger of a meltdown. It is noted that in reaction to the Earthquake and Tsunami in Japan, Veriditas, the World Labyrinth Organisation is implementing the Global Healing Response (G.H.R.). G.H.R. 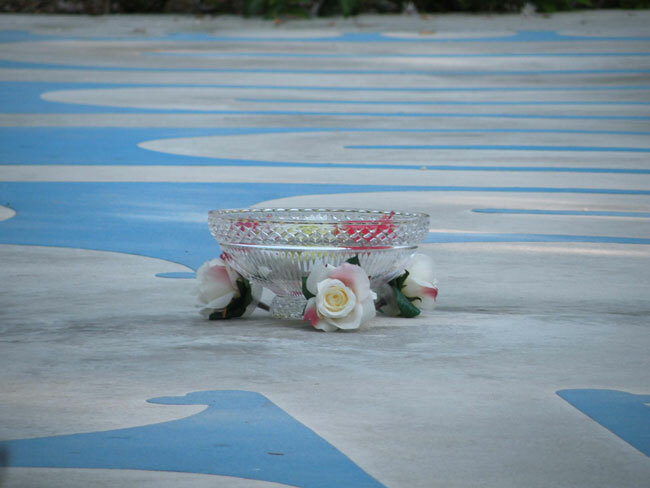 is an international effort through which countless Labyrinths are made available worldwide for people to walk in heartfelt response to the great needs of the people and the planet, in the wake of catastrophic disasters.